An enchanting tale that will have you thinking about it long after you turn the last page. This story has everything intrigue, adventure, romance, and life lessons that you will carry with you forever. While this story has elements of the old “Alice in Wonderland” it is far different with a theme all its own. The story deals with many different issues that we all face in life, but especially forgiveness. I really liked how the story showed that you must work hard for your happily ever after and that even though things don't always turn out the way you planned, love is always worth it. Alice Mae is no wilting violet. She is strong, determined, and most definitely a fighter. I loved her spirit and seeing how she was able to grow as a person throughout the story. She is by no means perfect and makes mistakes, but she tries her best to make things right. Ryley is no prince charming, but he loves with all his heart. He is an interesting and complicated character that I loved figuring out. The romance was also nicely done and not too over the top. What I liked most about Ryley and Alice is that they saw each others faults and still loved each other. This is an moving and provocative story that you won't want to miss! 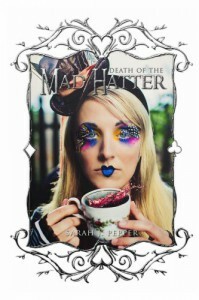 What inspired you to write Death of the Mad Hatter? My inspiration actually came from my cover artist. Josh Wilcoxon, a photographer by trade, has a knack at shooting fantasy characters but putting his own personal twist on them. He did a trial shoot for Alice in Wonderland, and I was “stalking” his website and simply fell in love with his artwork. Do you have a favorite character from the original Alice in Wonderland? The Mad Hatter. I loved just how completely bonkers he was and yet was still as happy as a clam. He wasn’t afraid of letting people see just how nuts he was… and everyone is all a little insane. I’m so incredibly in love with the Sookie Stackhouse Series. Eric Northman? Yes please! How did you get in to writing? Honestly, I didn’t want to shovel the driveway. (Yep, not lying) I had just finished a few authors I was following and it was in the middle of winter. We just got blasted by an unrelenting blizzard. The snow drifts were over my head. And, I’d already destroyed three shovels and an ice pick, so I wasn’t going to go out again until the sun came out and melted everything away…. Huh, funny how my life would have turned out differently if I would have bought a snow blower. Did you listen to music while you wrote the book and if so, who were some of the artists? Oh absolutely! My music changes depending on my mood. Often my books change too depending on the radio. I can listen to Eminem one minute and then Missy Higgins and then to Kesha. I take my high blood pressure pills to fuel my coffee addiction. Did any of your characters give you a difficult time while writing this book? Oh my characters always misbehave! I have this wonderfully great, epically genius idea for a story line and then my characters will get bored or insist the story take a different direction. When I’m writing, I have little to no clue how the story will unfold. 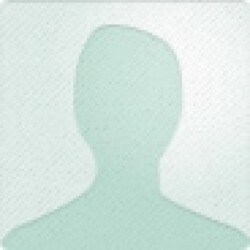 Is there any character in particular that you enjoyed writing about the most? Alice Mae. (Named after my grandmother, btw) She’s a little cooky and difficult. I kept wanting her to be a “nice girl” but she insisted on getting her hands dirty. Thus, Alice Mae in Death of the Mad Hatter is much like Wednesday in the Adam’s Family. Are there any other projects you are working on that you would like to tell us about? I’m currently working on the final novel of the Fate Trilogy. (think classical mythology with a modern twist) The first took books are out: Forgotten, #1, and Twisted Games #2. But, I created a bit of a mess for my main goddess to fix, so I’ve been second-guessing my series title. Trilogy? I hope to get everything solved so my publisher doesn’t get mad at me, lol.